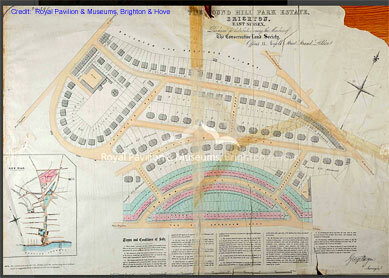 Read about the Round Hill Park Estate and click on the picture to enlarge the 1853 plan. The picture will open in an new tab. Then to further enlarge Hold down Ctrl and press + (Windows PC) or Command and press + (OS MAC). The photo includes scores of Round Hill homes. It also shows the care taken in the early development of Round Hill to construct a in street layout which is still pleasing to the eye with its deliberate arcs, segments and restful 'green ribbons' in between. An Article 4 Direction has the effect of removing "Permitted Development" rights over certain specified classes of minor alterations and extensions, such as porches, replacement of windows and doors and painting of the exterior of a building. Usually these Directions only relate to those facades of the building facing onto a street or public footpath or open space, but sometimes they cover alterations and extensions at the rear or developments such as sheds in back gardens. 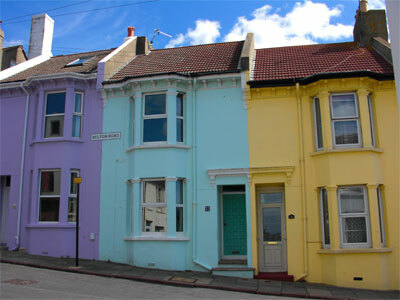 What requires planning permission? Note: the above link updates this. the latter is a comprehensive study of the characteristics of Round Hill. The purpose of this document is to inform future planning policies, and assist with planning decision making. Note that the above Characterisation Study takes in more of Round Hill than the streets which fall within the boundaries of The Round Hill conservation area (designated in 1977). In Victorian travelogues, a reference to Round Hill would include streets (north of The Level and Rose Hill) on both sides of Ditchling Road. Round Hill was the hill which could be seen across the valley when looking eastwards from Dyke Road. The Round Hill streets actually visible from Dyke Road are west of those which now fall within the boundaries of The Round Hill conservation area. Today, a reference to Round Hill includes the Sylvan Hall streets, but normally indicates the streets bounded by Upper Lewes Road, part of Round Hill Crescent, D'Aubigny Road, part of Richmond Road, Mayo Road, Princes Road and part of Ditchling Road. You can now purchase the omnibus edition of the Round Hill Reporter - a bound volume of the first 40 issues, published to commemorate the tenth anniversary of the Round Hill Society for £6.45 plus postage.